Today Keegan, Penny and I went to the Arabian Horse Show in Scottsdale. I had never been and it was amazing! The horses are so beautiful that they don't look real. 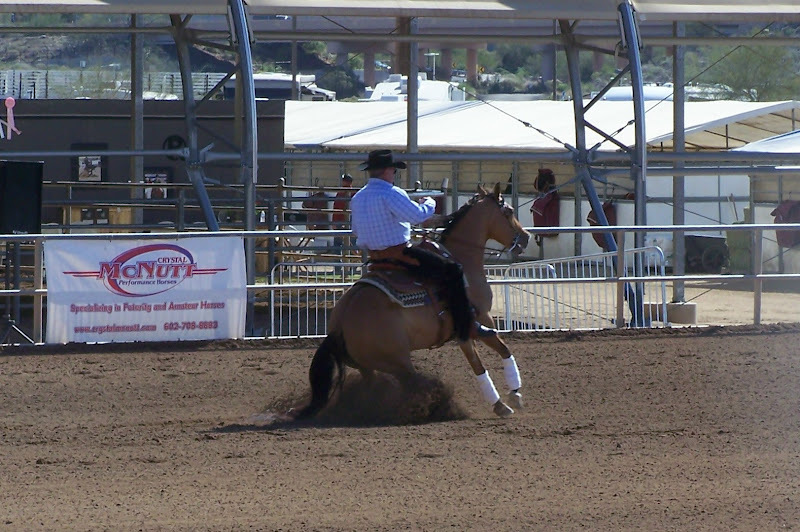 It's the largest Arabian Horse Show in the country. It lasts about a week and we only could go the one day, so we couldn't see everything. Still, we got a nice sampling. We enjoyed the filly halter class. The class we saw were all about 9 months old. They were already pretty darn amazing. The have hunter classes, dressage, western pleasure, reining, arab costume, pleasure driving, trail riding. They just about have it all. This horse was a half arab and had a great sliding stop in the reining class we saw. This girl was in the 13 and under class. This girl is all decked out in her show finery. This little girl was in costume for some little kid class. I loooved watching the pleasure driving class. There were only 4 entries, but they were beautiful. I will post a video clip later. There were amazing things for sale. These show shirts ran around 3200$. I bought a T shirt that wasn't anywhere near that range. It also had a lot less bling. There were even mirrors and saddles with bling. The ties in the back have bling on them. This both was called bling tie affair. This horse won the driving class. This filly almost didn't seem real even when we were standing next to it. She was just so beautiful. Then the colts came in. We saw a very small amount of the junior costume class. I would definately go again. It was a really fun time.